This doll is very ornately decorated with deep, dark blue dresses and flowing veils and sleeves. The dresses are trimmed with lacy white trim. The dolls are decorated with raised gold metallic paint. 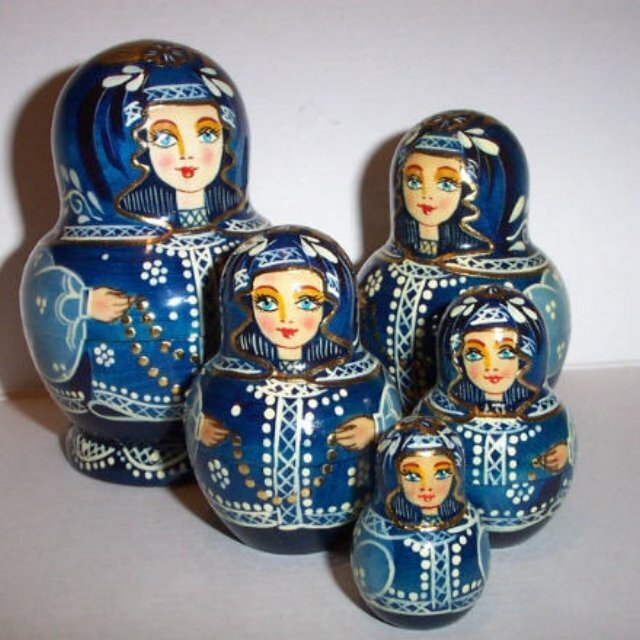 It is an Art Matryoshka was purchased from Sergeiv Posad.